Ronnie is a super AA/Jr Dressage mount. He is very solid First level, schooling Second and has a very clean lead change! 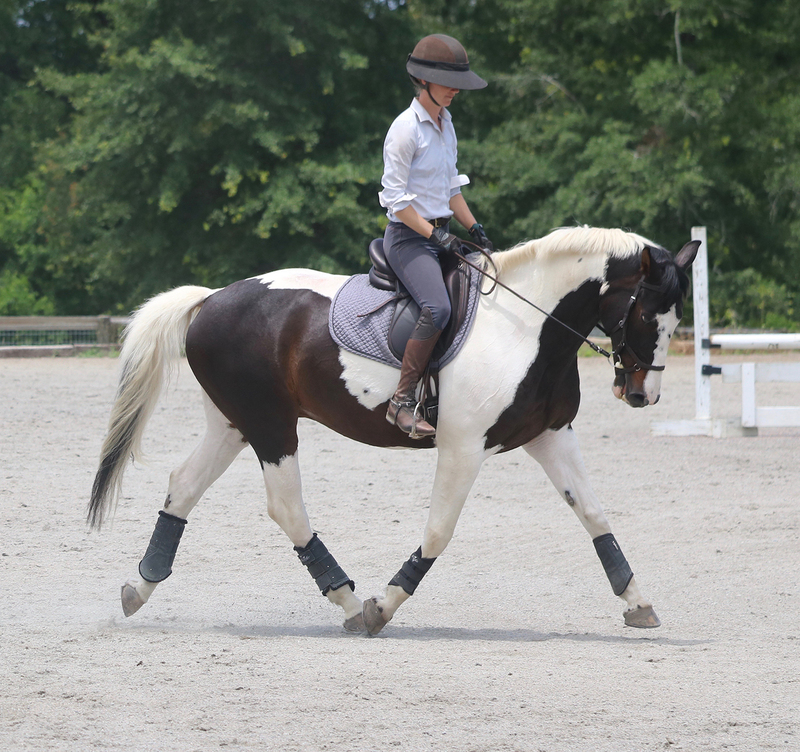 Good gaits, easy to put round, fun, and a good partner! With the terrific lead change he could help someone get their Bronze medal! Placed 2nd and 3rd at First level with scores of 65%! He also loves to trail ride and has been hound walking. He enjoys jumping cross country now and then, but doesn't love to school show jumping. No vices, very personable and sweet in the barn. easy to handle in every way.